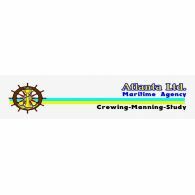 Atlanta Ltd. Maritime Agency a large supply of profoundly qualified, licensed, certified, skilled and experienced crew of all ranks. In our database we have more than 4700 marine specialists. DSV, PSV, AHTS, OSV, Drill Rigs, Drill Ships, Semisubmersible Ships, FPSO, Stand By, EERV, Survey/Research,etc. Tankers, Chemical and Product Tankers, LPG, LNG, Ferries, Reefers, Bulk Carriers, Ro-Ro(WA/WD) vessels, etc. $ 1 700 в мес.